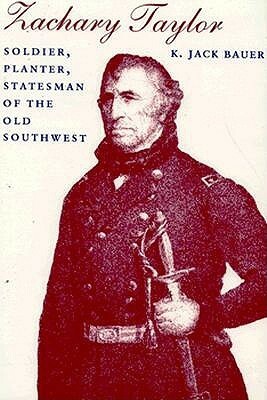 “Zachary Taylor: Soldier, Planter, Statesman of the Old Southwest” is K. Jack Bauer’s 1985 biography of the twelfth U.S. president. Early in his career Bauer worked at the National Archives and later became a naval historian. He was also a history professor at Rensselaer Polytechnic Institute for more than two decades. Bauer died in 1987. This book is widely regarded as the definitive biography of Taylor, and for good reason. Relying on a wide array of primary sources, this biography is clearly the result of exhaustive research. I suspect that nowhere other than at Langley or Fort Meade (or perhaps the J Edgar Hoover Building) has anyone compiled so thorough an account of the movements of any one individual throughout his or her life.